Lisa Gasteen was born in Brisbane. In 1982 she won the Australian Regional Finals of the Metropolitan Opera Auditions and in 1984 she was awarded the Covent Garden Scholarship. In the same year she sang in the Queen's 60th Birthday Gala at the Royal Opera House. She made her operatic debut in 1985 with the Lyric Opera of Queensland (now Opera Queensland) as the High Priestess (Aida) followed by Desdemona (Otello). She has been a regular guest artist with Opera Australia and her many roles with the company include Miss Jessel (The Turn of the Screw), Madame Lidoine (Dialogues of the Carmelites), Ortlinde (Die Walküre), Leonora (Il trovatore, La forza del destino and Fidelio), Elsa (Lohengrin), Donna Elvira and Donna Anna (Don Giovanni), Aida, Elisabetta (Don Carlo), Elisabeth (Tannhäuser) and Amelia (Ballo in Maschera). For Victoria State Opera she has sung Elisabetta, Elisabeth, Desdemona, Aida and Leonora (Il trovatore). After winning the 1991 Cardiff Singer of the World Competition, Lisa Gasteen was invited to sing Donna Anna in Prague with Sir Charles Mackerras followed by her British debut in 1992 as Leonora in Scottish Opera's new production of Il trovatore. Subsequently she was invited to perform in Europe and the United States with companies including Welsh National Opera, Deutsche Oper/Berlin, Staatsoper/Berlin, Scottish Opera and with the opera companies of Strasbourg, Stuttgart, Zurich, Dallas and Washington. She made her debut at the Metropolitan Opera, New York in 1997 as Aida. She has also performed in these houses roles including Leonora (Il trovatore with Rizzi), La Forza del Destino, Fidelio, Amelia (Un ballo in maschera), Madeleine de Coigny (Andrea Chenier), Aida (with Mehta), Tosca, Ariadne auf Naxos and Chrysothemis (Elektra). She made her role debut as Die Kaiserin (Die Frau ohne Schatten) under Simone Young at the 1996 Melbourne International Festival. Recent seasons have seen Lisa Gasteen return to the Staatsoper/Berlin to perform Chrysothemis, Brünnhilde (Siegfried) in Stuttgart, Leonora (Fidelio), her role debut as Isolde (Tristan und Isolde) for Opera Australia, for which she was the recipient of a Helpmann Award, Brünnhilde at the Meiningen Festival in her first complete Ring cycle, making her Australia's first Brünnhilde for some sixty years and her debut at the Royal Opera House, Covent Garden as Isolde under Bernard Haitink. Engagements in 2003 included three major role debuts—Marta (Tiefland) with the Vienna Philharmonic, the title role in Elektra at the Royal Opera House and Salome for Opera Australia as well as Ariadne auf Naxos with the Staatsoper/Berlin. In 2004, she made her role debut as Senta in Der fliegende Holländer with Opera Australia, performed Sieglinde (Die Walküre) at the Metropolitan Opera, Elektra in concert with the Cleveland Orchestra, Isolde in Stuttgart Opera's new production of Tristan und Isolde and Brünnhilde in State Opera of South Australia's new production of the Ring under Asher Fisch, for which she received another Helpmann Award. 2005 engagements included Brünnhilde in the Ring cycle for the Vienna Staatsoper (making her house debut) under Simone Young and for the Royal Opera House in the company's new production under Antonio Pappano, as well as Isolde for Opera Bastille/Paris. In Australia she performed Isolde for the Queensland Music Festival and she was honoured with a third Helpmann Award for this performance. 2006 included a return to the Royal Opera House to perform Brünnhilde and Elektra at Tanglewood Festival. More recently she made her role debut as Faerberin in Die Frau ohne Schatten in Hamburg, performed Fidelio in Seville, Brünnhilde/Die Walküre at the Metropolitan Opera, further performances of Brünnhilde in the Ring cycle at the Royal Opera House and concerts with the Los Angeles Philharmonic, Tasmanian, West Australian and Adelaide Symphony Orchestras. Future engagements include a return to Hamburg for Brünnhilde/Walküre, further performances of Brünnhilde at the Metropolitan Opera, concerts in Iceland and with the West Australian Symphony Orchestra under Paul Daniel. 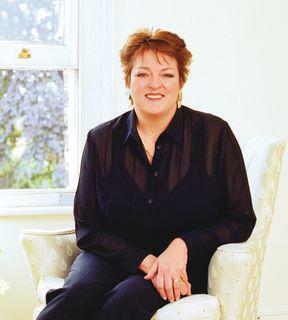 Lisa Gasteen's concert repertoire includes Rossini’s Stabat Mater, Mendelssohn’s Elijah, Janacek's Glagolitic Mass, Beethoven's Ninth Symphony and Verdi’s Requiem with orchestras including the Tasmanian, Queensland and Melbourne symphony orchestras, the New Zealand Symphony Orchestra, BBC Welsh Symphony, in Budapest, Göteborg, in Durham Cathedral, with the Florida Philharmonic Orchestra and for the Melbourne International Festival, Sydney Festival and Bergen Festival.